Born in 1915, American book designer and graphic designer, Alvin Lustig, set the stage for modern American design. With more than 400 important designs credited to the designer, it’s difficult to attribute his success to any particular work. As a recipient of a 1993 AIGA Medal (awarded posthumous) and honored by the Art Directors Club Hall of Fame for his contributions to American design, he was highly celebrated, both while he was alive and thereafter. He trained at the Art Center School of Design in Los Angeles and studied with American architect, Frank Lloyd Wright, and French painter, Jean Charlot, for a short time. Lustig’s work is varied and his popular work included everything from 1940s Los Angeles architectural projects to celebrated magazine covers. Along with graphic design, his impressive range of work included book covers, magazines, letterheads, catalogs, signage, furniture, logos, sculptures, furniture, architecture, and much more. His list of clients and range of positions included everything from Director of Visual Research for Look Magazine to designer for Girl Scouts of the United States. During his 10 years at New Directions Publishing, he designed more than 70 unique covers for the New Classics literary series, including A Streetcar Named Desire, Cat on a Hot Tin Roof, and many more. Lustig used his incredible craft for more than just one outlet. He enjoyed all aspects of design, which included architecture, interiors, and industrial design. He believed that “one of the more severe penalties of over-specialization is the lack of nourishing and fertile exchange, which always results from isolation.” To combat this, he found it crucial for creatives to experiment with other types of design, aside from just their areas of expertise. By working interdependently, he felt designers could create the maximum impact on our culture, rather than just on the design community. Lustig had an unwavering appreciation for geometry and scale, and created geometric designs using type ornaments. Each design project involved problem solving, with the solutions including form and color. He utilized strong typeface design and intricate artwork to create eye-catching covers for novels that begged to be picked up. Each of his all-encompassing book covers had a life and character of its own, focusing on more than just one general image. James Laughlin in “The Book Jackets of Alvin Lustig” had this to say about Lustig: “His method was to read a text and get the feel of the author’s creative drive, then to restate it in his own graphic terms”. In 1954, following complications from diabetes he developed as a teenager, Lustig was virtually blind, but that didn’t stop him from completing his important work. In fact, some of his finest pieces were produced during this time. Lustig passed away in 1955, at age 40, but the modern design pioneer left a lasting impression. 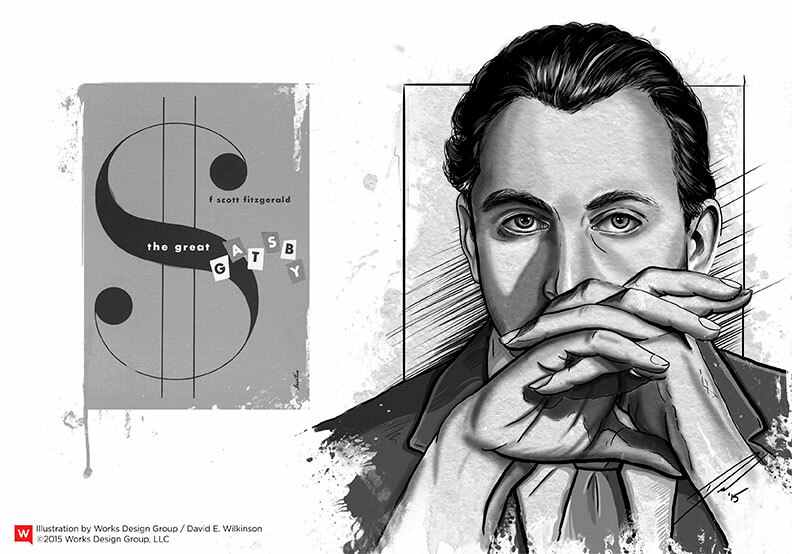 He set the stage for modern graphic design and book designs to come. His work inspired all those around him. In fact, his wife and fellow graphic designer, Elaine Lustig Cohen, took over his New York City design firm following his death and was awarded an AIGA Medal in 2011 for her contributions to American graphic design. Today, a number of books have been devoted to his work, and his theories on design education are also part of the curriculum for some of the most renowned design schools in the world.